Learning how to potty train a puppy can be a never-ending battle for some pet owners, and will overshadow the joys of bringing home a new puppy. 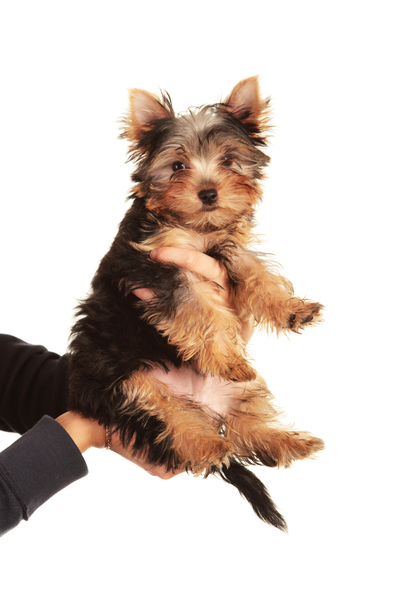 If you are expecting a new bundle of joy in your home, or have tried to nip puppy potty training in the bud to no avail, take note of the following tips. Teaching your furry friend how and where to relieve him or herself is a learning curve for both of you, so remember to try and work as a team. Puppies are notorious for being stubborn little critters, so unless you adopt a patient tactic, the process will be a tough one. Also, bear in mind that puppies are still learning the rules of living in your home, and will need as much guidance as possible. The best way to help your puppy learn where to go is to be watchful of them at all times during their first weeks at home. Anytime you see them disappear behind the couch or sniff around in a circle, watch them because chances are they’re about to crouch or lift a leg. If you can catch them before they do the deed, pick them up and take them outside or to a waiting toilet training pad. This is a crucial step because it will help your four-legged friend associate the need to go to the toilet with going outside or to a designated area. Again, remember to be patient. Toilet training a puppy is a lengthy endeavour, and is likely to see you carrying your puppy outside for at least two weeks if not more. Don’t fret – they will eventually learn! When your pooch does manage to navigate him or herself outside or to a designated toilet area it’s vital to mark this occasion with as much praise as possible. Your puppy needs to know that the deed they have just completed is right, and the only way for them to know that is to see and hear your praise. Jumping up and down, giving him or her a big cuddle as well as a treat might seem like overkill, but once they see how happy this act has made you, they will want to do it again. Whether dog owners should punish puppies for going to the toilet in the wrong spot has been debated for years. On the one hand, scalding your pup for urinating on the carpet will make them aware of their wrongdoings; conversely, punishing your pooch by rubbing their nose in their own mess might force them to try and hide the evidence by eating it!